This chapter attempts to consider the consequences of machine vision technologies for the role of the image in the visual arts. 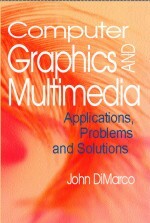 After a short introduction, the text gives a practical overview of image processing techniques that are relevant in surveillance, installation, and information art practice. Example work by practitioners in the field contextualizes these more technical descriptions and shows how computational approaches to digital imagery can radically expand the use of the image in the arts. A final note on possible future areas of investigation is included.